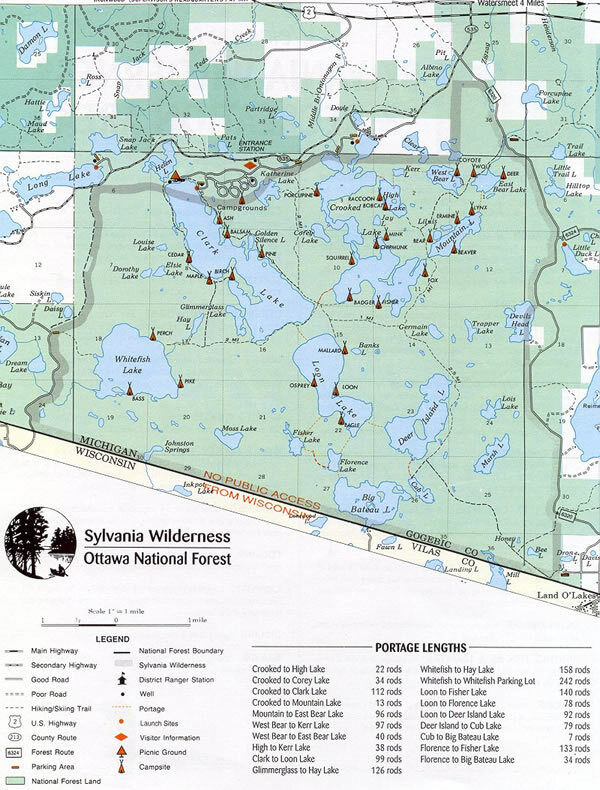 We have a large selection of maps available that cover the Sylvania Wilderness and Recreations Area. With these you will get a great view of the lakes, terrain, trails, water depth, campsite locations and more. Stop in or call us to get yours today. All of our maps can also be shipped to you, and prices listed include shipping costs. Call us at 906-358-4766 for more information on ordering maps. This waterproof map is available for only $7.00! Call us for more information or to order yours today! We also have 2 new waterproof maps this year, our 23.5 x 36 inch Waterproof Double Quadrangle maps of both the Sylvania Wilderness and the Ontonagon River. 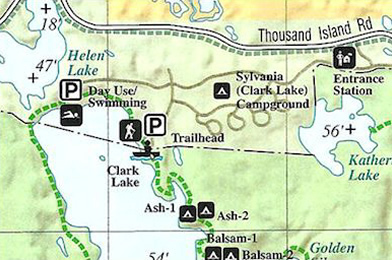 Both of these maps are a great addition for any excursion into the Sylvania Wilderness or the Ontonagon River area. These 23.5" x 36" Waterproof Double Quadrangle maps are available for only $27.50 each! 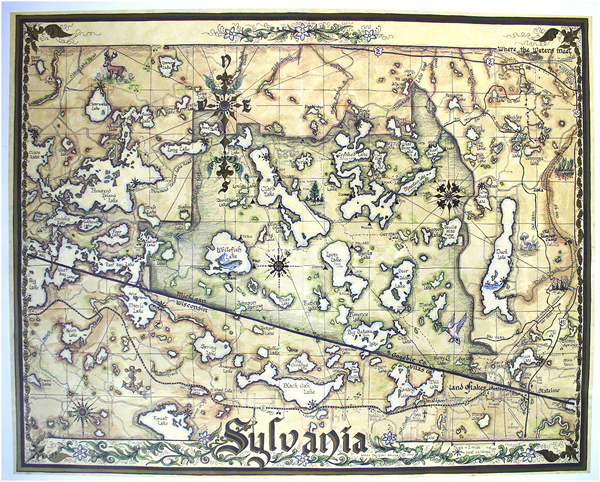 Also very popular is this beautiful hand-drawn Sylvania map, this is truly a work of art! Hand drawn, with wonderful calligraphy, and a look of antiquity. One of a kind you'll never find; a map in every aspect of the word. Correct down to the smallest detail. Also a great souvieneer piece to have from your trip. 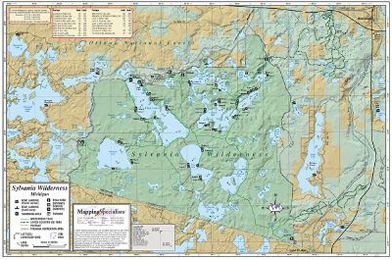 An older but popular Forest Service map is below, we also stock these too. You'll find maps to fit your needs when planning your trip through the Sylvania area. For more information on these or other maps, stop in or call for more details.